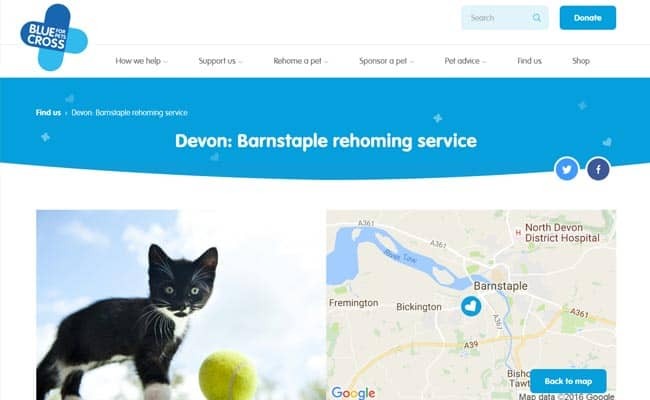 Blue Cross Barnstaple Rehoming Service, Barnstaple – The Blue Cross Barnstaple Rehoming Service has cats looking for new, permanent and loving homes. Before adoption, our cats are cared for by volunteers who offer temporary foster care, rather than one of our rehoming centres. Our volunteer co-ordinators operate the scheme in their local area by providing administrative support, while the carers provide daily animal care.